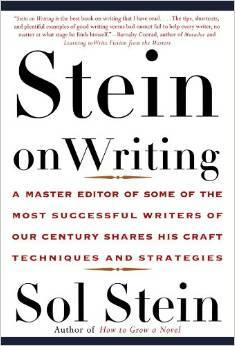 I love Stein on Writing and his other books. I’ve had the great privilege to meet Sol Stein several times and hear him lecture as well as use his computer teaching programs for writers like Write-Pro. He is a master teacher and I appreciated this post. Thank you. Wow! That’s so cool, Terry. I’d love to meet him. The one-plus-one concept is interesting–I’ll remember that! Me, too, Kelsey. I liked what he said about that. Fascinating. I really enjoyed this. And, luckily, am a keen editor of my posts! That’s great, Evangeline! Thanks for reading! I read Stein’s book over the summer. Had to hold back from highlighting everything. 🙂 Thanks for the insight! I know! So true. I borrowed Doc’s book so couldn’t do any highlighting. Had to do lots of sticky tabs!